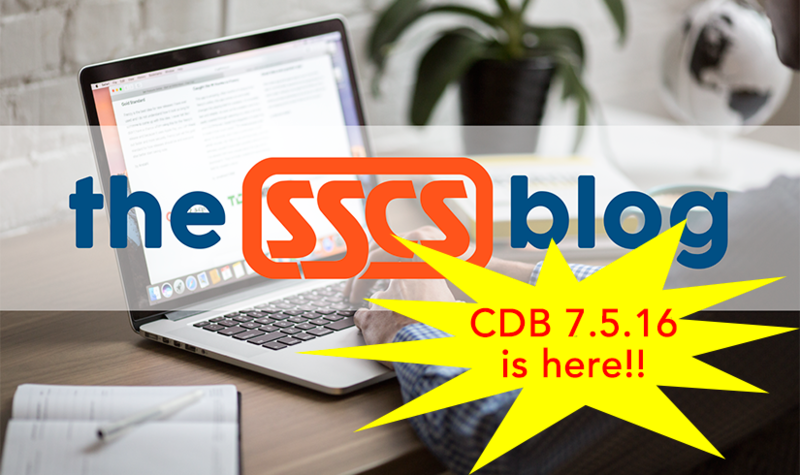 SSCS is pleased to announce that the latest version of its flagship office system, the Computerized Daily Book (CDB), is rolling out to customers now. Here’s a quick overview of what users can expect from CDB Version 7.5.16. A column that displays the percentage of the day’s variance. A column that displays the percentage of the month-to-date variance. Yellow highlights to emphasize values that have fallen outside the established thresholds. When more than one Allowable Variance is selected, the calculation is now based on the Variance Type that is smallest (when the value Minimum is selected) or the largest (when the values Maximum is selected). Other CDB highlights in this release include a brand new shift report that displays negative quantities—making it easier to identify inventory needs—and the ability for our barcode generator to print output on perforated 18 labels, something our customers have specifically requested. Users of our streamlined Power Price Book application for item-level inventory pricing control will be pleased to know that they can now use the full capabilities of automated buydowns, as available currently in the full version of the CDB. Users can now post credit card batches, properly mapped, to the CDB from the Passport when the Passport is set to generate the data in the proper format. Viewing payroll data is now possible through the Post2CDB part of the CDB. NRGT readings from the POS, when the store runs more than one Passport, are added into the variance calculation. This combined value is considered when the CDB produces shift alerts. This post only covers some of the features in CDB 7.5.16. To access a complete list, log into the SSCS Portal. Once in, click the Enhancement menu, then Computerized Daily Book. The same enhancement list is also available in the latest update of the CDB User Guide, also available now on the SSCS Portal.